Paving Samford - Landscape Renovations is a unique landscape design and construction company that has a mission to help your dream landscape designs come to life for your enjoyment. We pride our self on our Price, Quality and Workmanship with true attention to detail on every job we do with a guaranteed for that professional look that you are after with a friendly and professional service. Whether you're after paving, excavation, retaining walls, timber fencing or general construction services in Samford, Landscape Renovations will provide you with a spectacular pavement project that you surely won't be disappointed with. From the initial design to the final creation of your paving project, Landscape Renovations will be with you on every step of the process ensuring that your paving project is completely and utterly your dream project come to life. Landscape Renovations supply and install timber fencing in Samford. 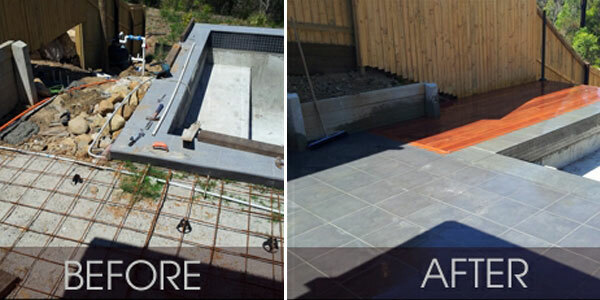 Landscape Renovations are well-known for their quality paving, structural landscaping, concreting and fencing services amongst the Samford community. So if you are looking to get the job done right the first time around with no fuss you have come to the right place. For quality paving in Samford, please don't hesitate to contact Jeff today on 0424 262 824 for a quote or professional paving advice!